We are proud to announce that Siegfried has won FOUR awards, recognizing our outstanding work – all in just the past few months! Check out the project photos and descriptions below. For the Estates Reservoir Replacement project, Siegfried provided civil engineering, signage, and trail planning and design. 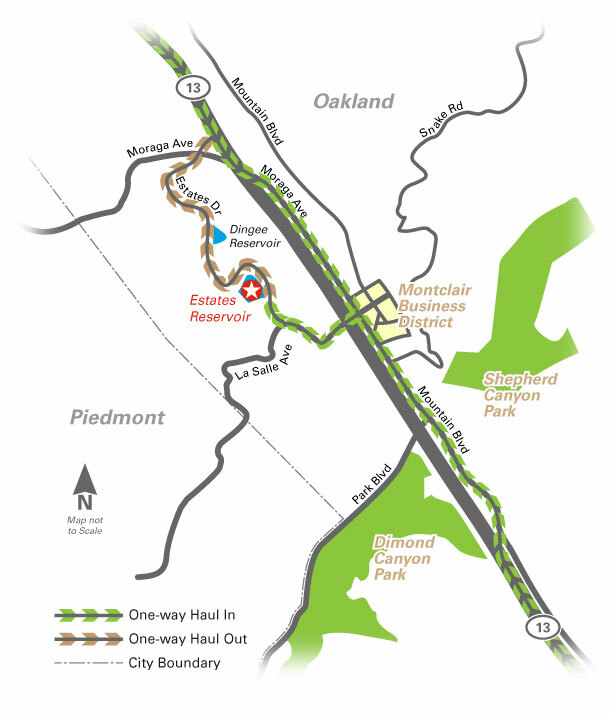 Project challenges included developing a trail and signage plan that incorporated the larger project goals, but also remained functional in a natural hilly terrain. The two most important aspects of this project were: first, to preserve the existing mature landscape, and second, provide safe pedestrian and bike access to the trail – at what has historically been a blind curve on Estates Drive. In addition to these challenges, we were able to account for and give a voice to the thoughts and concerns of the local community and its residents. This resulted in a natural setting that respected the privacy and security from adjacent homes, as well as also providing enhanced trail transitions and speed reduction measures. As the chief consultant, Siegfried provided integrated civil engineering, landscape architecture, and surveying. This project includes an entry plaza with decorative paving, providing circulation and pre-function space, as well as “Falcon’s Nest,” a separate tribute plaza honoring significant achievements of the athletic program. Working with campus planning, physical education staff, the design-build team, and the Division of the State Architect, Siegfried provided cost-effective solutions for terracing the already steeply sloped site to accommodate these amenities and the 44,000sf building. Intuitive way-finding incorporating views, stairs, and ramps, golf cart access, drop-off areas, and separate entrances for home and opposing teams add to the site’s functionality. The project successfully knit the new Gymnasium building into the fabric of the overall campus as well as to support the development and identity of the growing Athletics program. 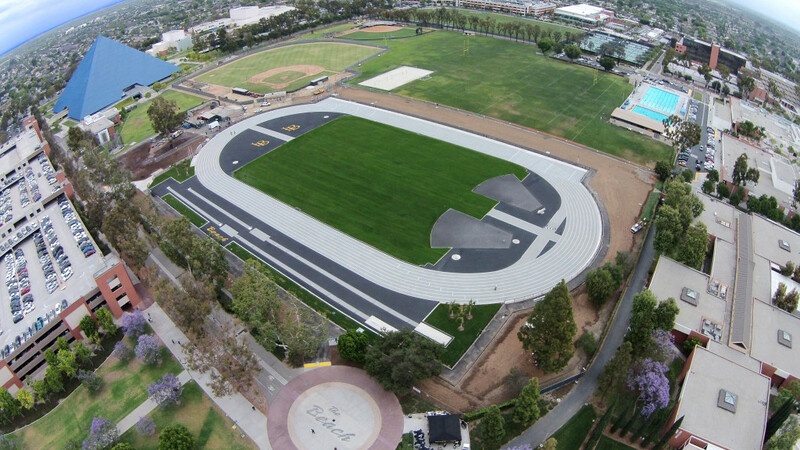 Siegfried was hired as the Track Facility Design expert to consult on the master plan and construction documentation for the renovation of the new track and field facility. 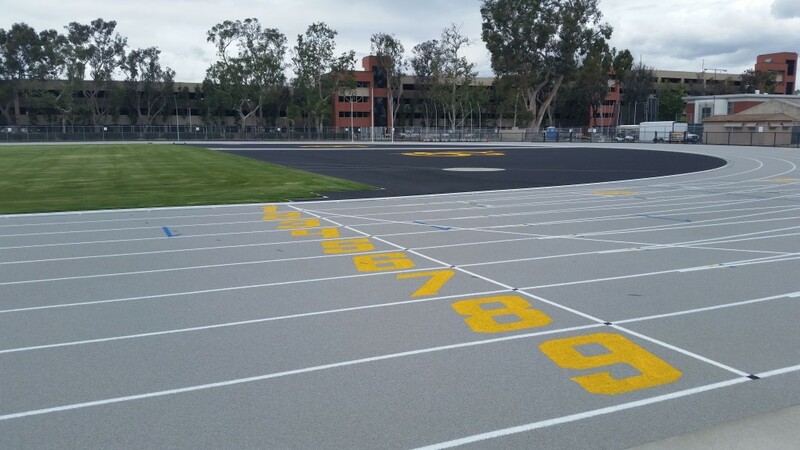 The scope of the project included renovating an old dilapidated facility that was shut down by the University for use into a state of the art IAAF track and field facility. The entire facility master plan included full build out plans to be able to hold large regional qualifying meets or Olympic trials. Phase 1 of the project was value engineered to include the installation of the essential track infrastructure and track to build the groundwork for the success of the full build out at a later date. 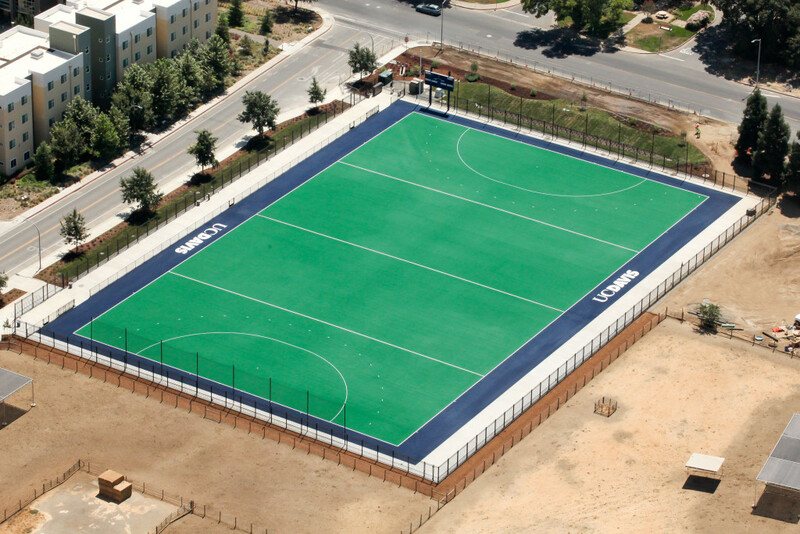 For the UC Davis project, Siegfried conducted a complete master plan and design of the new Field Hockey Facility. The complex includes professional level athletic facility design, high pressure irrigation system, bio swales, fencing, scoreboard, and safety netting systems. Additional features include security fencing, bleachers pads, synthetic turf field hockey field, state of the art irrigation system, landscaping, irrigation and storm drainage mitigation. Our team delivered master planning, design development, construction documents, construction administration, and water harvesting system.